Lenovo Tech World 2017 took place in Shanghai late last week. At the expo the Chinese tech firm showcased some new Yoga Book convertible laptops, and some new mobile tech including the CAVA virtual assistant, the SmartVest medical grade ECG wear, and the daystAR augmented reality system and platform. Hidden amongst the press releases and various Tech World info was some information about the intriguing Lenovo Folio tablet. 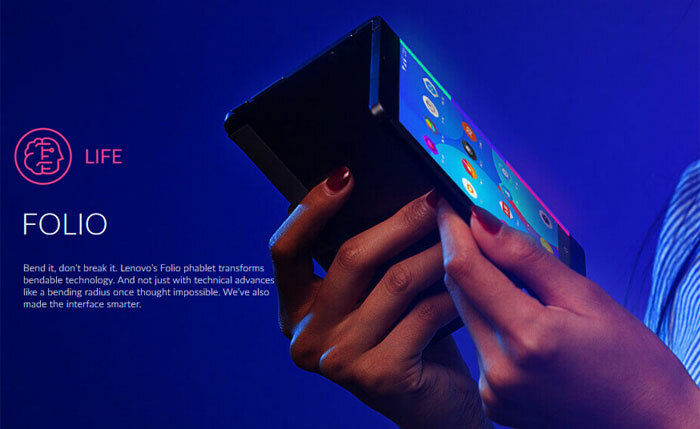 Pictured above, you can see an official product photo of this prototype with description as follows; "Lenovo's Folio phablet transforms bendable technology. And not just with technical advances like a bending radius once thought impossible. We've also made the interface smarter". In the video above, via HardOCP, you can see and hear a Lenovo rep describe the Folio as a slim (4.8mm) tablet with a 7.8-inch display. The Folio bends backwards with the display on the outside. As it does so you can see the Android UI start and finish rearranging itself with the home screen icons animating to the 'front, and some edge functionality appearing to the right on the curve of the screen. In phone mode the back side of the folded phablet isn't active. However, the rep describes the back facing display portion as being useful in taking photos. In this case the subject of the photo can help the photographer compose the shot as they desire, by checking the mirrored viewfinder preview on that side of the device. The hinge mechanism and reactive UI are in-house designed by Lenovo. 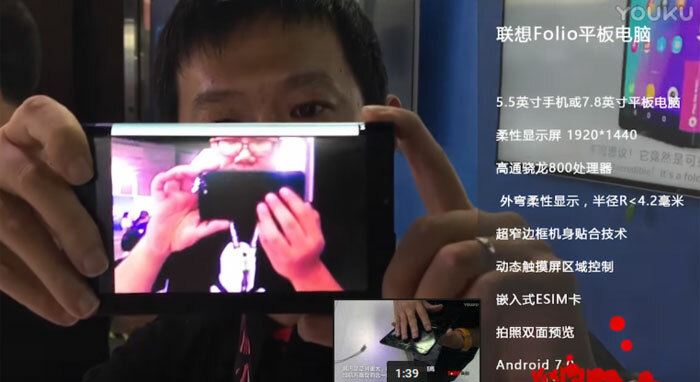 There's another video of the Lenovo Folio concept on YouTube, published by Mobile China, embedded below. There's no English language in this video but it's still worth a flick through. For example it reveals the device is powered by a Qualcomm Snapdragon 800 processor, folds down from 7.8- to 5.5-inches, that the screen resolution is 1920 x 1440, and you get a glimpse of the other side of the device. It needs to fold in the direction that protects the screen. I wonder how long until we start to see such screens in actual devices - a flexible screen should in theory be more resistant to being dropped(might be wrong here). 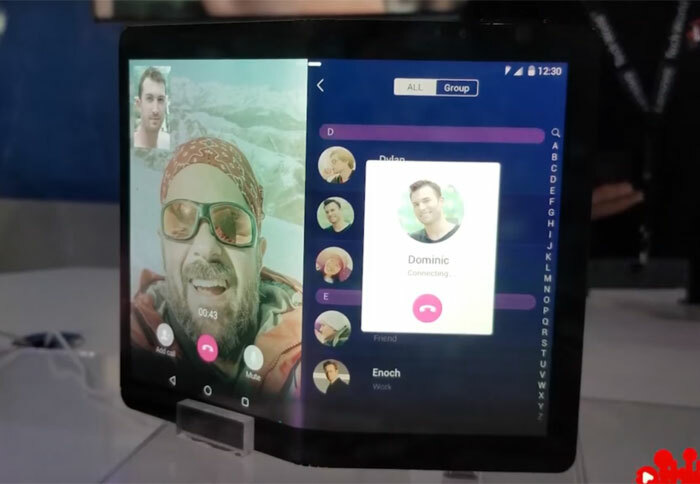 We get foldable/bendable screen prototypes crop up every couple on months on here. This seems heads and tails above anything else that has popped up. The fact that it completely bends back on itself is pretty slick… Normally I'd say, “Small steps” but this seems major.